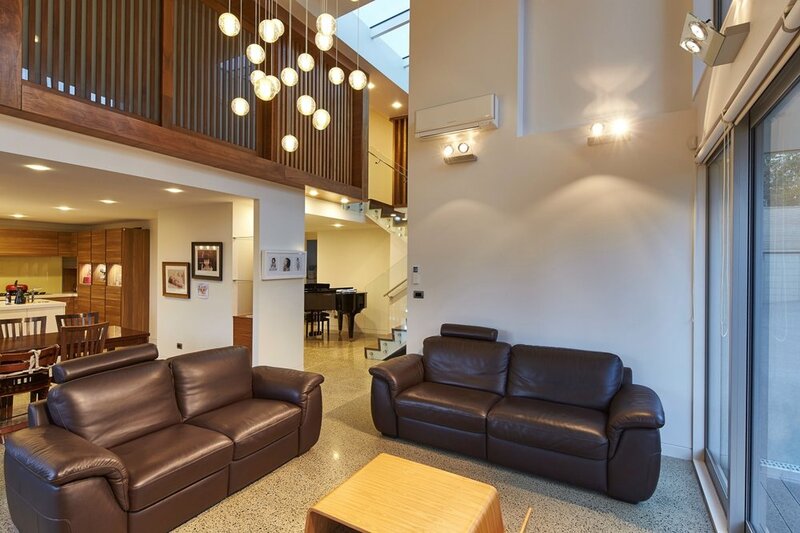 This Parnell sanctuary offers contemporary inner-city living in one of Auckland’s most coveted suburbs. It’s one of two new houses on a shared site occupied by two young families. Comprising a series of elegant, interconnecting boxes, the dramatic exterior is undeniably modern. 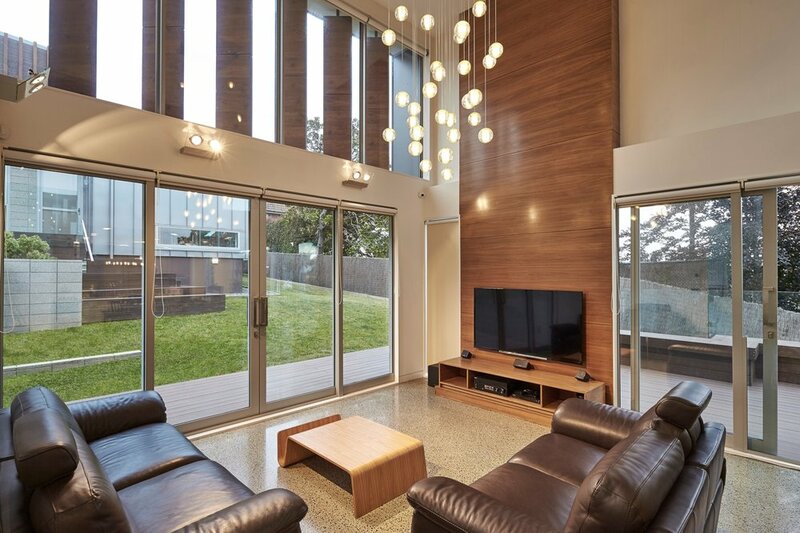 A selection of stylish feature materials accentuates the home’s volumes inside and out. Common outdoor areas offer space for family interaction. A double-height entry hints at the wide-open spaces within. Dark oak timber flooring provides thermal mass from the front door throughout the open-plan. The living room’s super-high ceiling drops below the upstairs walkway to create an intimate atmosphere in the formal dining area. The kitchen is positioned through double doors. Inside flows out through multiple glass sliders to decking and a shared courtyard. 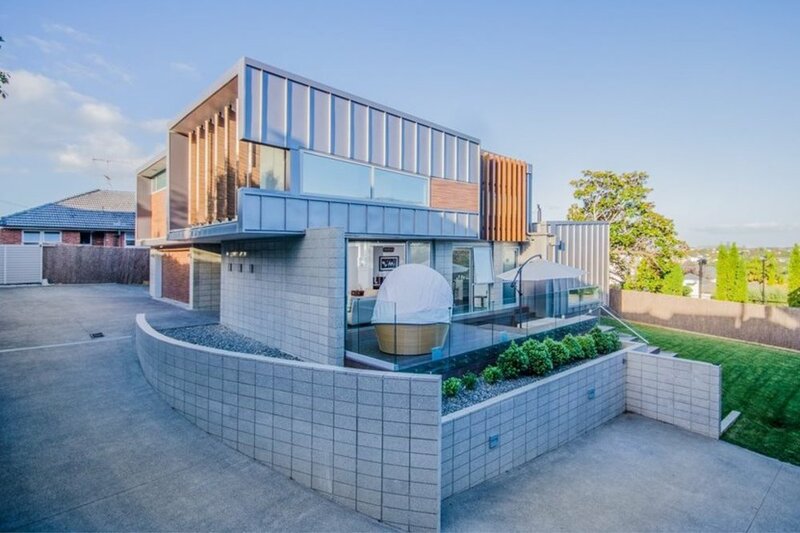 Four bedrooms include a master with unobstructed views towards Hobson Bay. A large built-in bathtub creates a spa-like experience in the ensuite. A tatami room provides a wonderful point of difference.